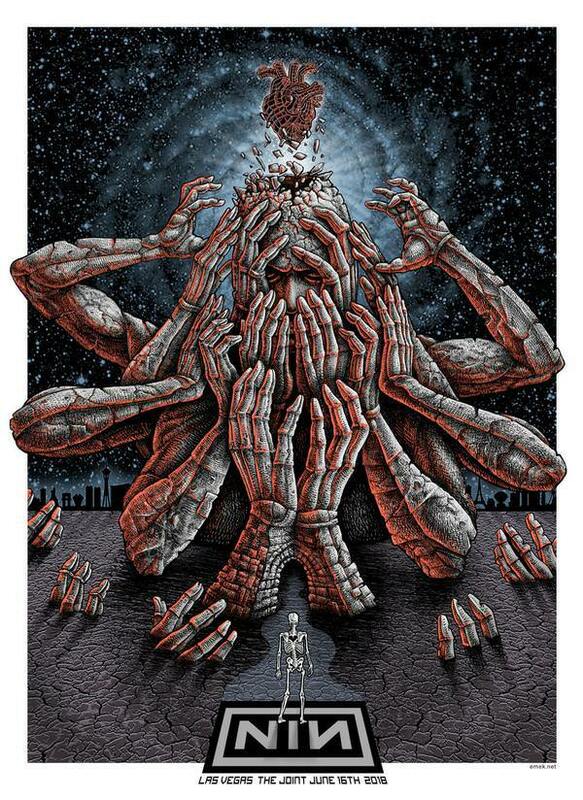 Emek’s latest gig poster for Nine Inch Nails will go up in his shop tomorrow. It’s an 18″ x 24.75″ screenprint, has an AP edition of 150, and costs $100. These go up tomorrow, Thursday, June 21st between 12PM and 12:15PM PST. Visit EmekStudios.com.